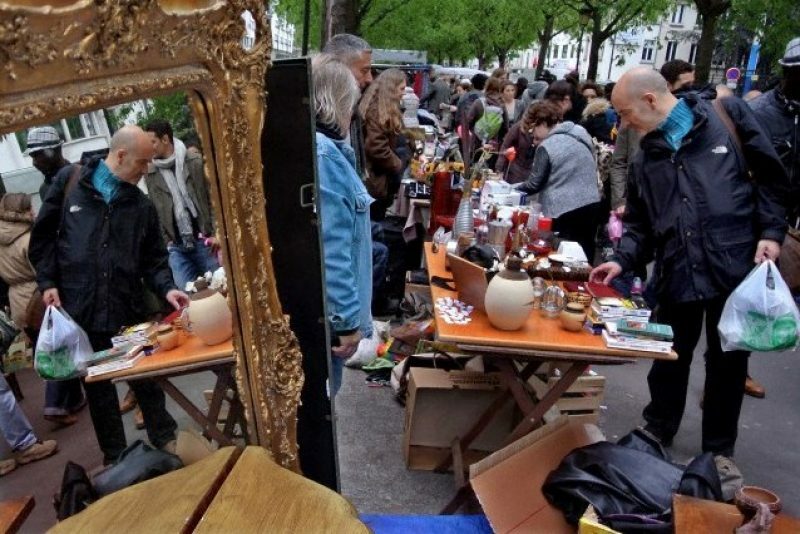 This legendary flea market (it dates from the 19th century – one of the oldest in Paris) isn’t quite what it used to be. For many years, it had a strong reputation for genuine antiques and as a place to pick up fascinating curios of ancient value. The real dealers have mostly left it in favour of other markets such as Vanves. That’s not to say that you won’t find that beautiful timber-panelled gramophone from 1932; the antiques and collectables are there all right. It’s just that nowadays, the emphasis is more on clothing. This is probably the place to come if you’re looking to start a really cool band; if you’re looking for something out-of-the-ordinary for very little cash – from military surplus gear to nifty leather boots and retro sporting attire. Oh, and just about everything else under the sun too. It’s enormous and crazy and a snapshot of thoroughly modern Paris with hardly a tourist in sight.